Have you ever thought about riding Cyclocross? With the Triathlon and Road Racing season coming to an end, many of us default to the cozy indoors in wake of the colder weather. If you'd rather stay out of the bad weather entirely, we have plenty of indoor fitness products to suit your needs. Stay on the lookout for promotions on indoor fitness products from Scheller's Fitness and Cycling! But why train in the cold? What too many triathletes and roadies run into late in the season is a lack of motivation. It is easier to stay inside, not train, and overeat in light of the holiday season. The bottom line is training requires a purpose. 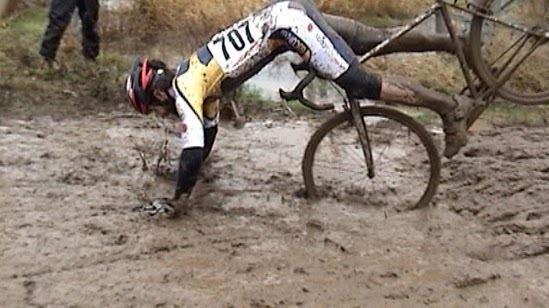 Your purpose to keep training through this winter can be cyclocross. First, don’t fear the mud. 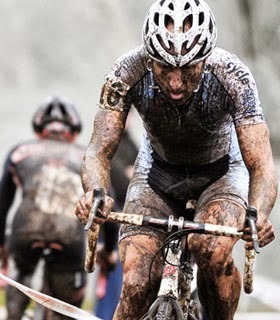 Yes, cyclocross can get muddy…..OK... very muddy but that is not to fear. Falling in the mud is no big deal and the most you will suffer from a crash is a mild mannered heckle from spectators. This sport will challenge your bicycle handling skills in a new way and make you an all around better bicycle handler. Secondly, the cost of the equipment is nothing to keep you from getting started. 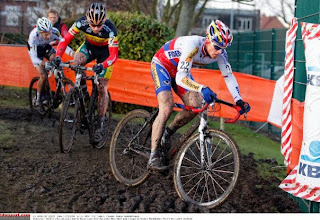 For many casual cross racers, the entry-level cyclocross bike they buy seconds as a wet weather base mile bike and then also as a commuter. Rest assured this bike will get its fair bit of use and will save that fancy road or tri bike from the salty wet muck of early spring roads. Come to Scheller's Fitness and Cycling to see all the products we have available in the Cyclocross category, and keep your eyes open for bike and product reviews and how-to's regarding Cyclocross.